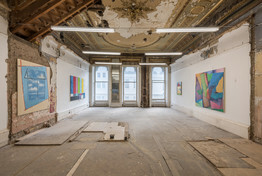 Since January 2016, Michael Iveson has worked from a studio inside the Averard Hotel. This solo exhibition, his first, focuses on five bodies of work created by Iveson over the last eight months. 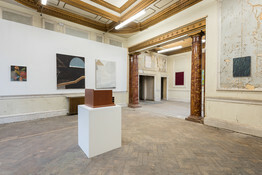 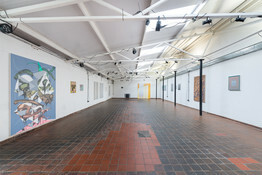 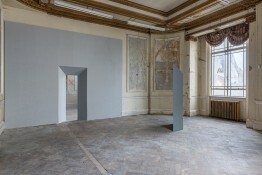 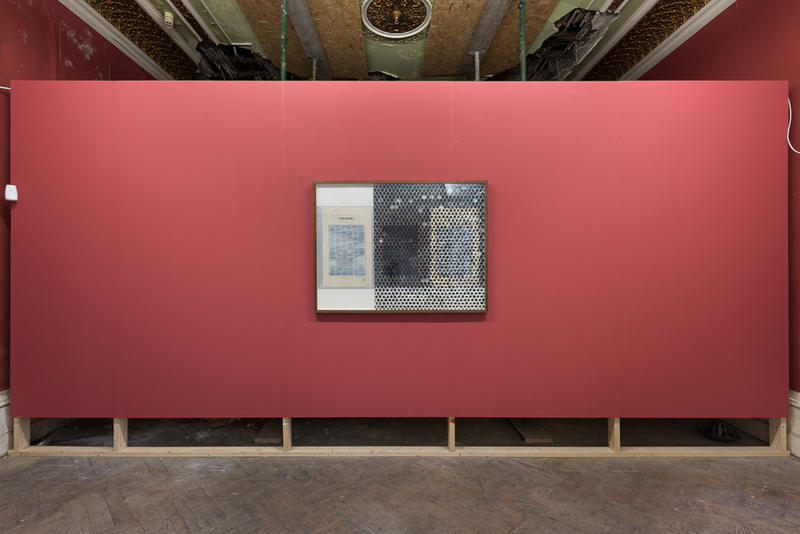 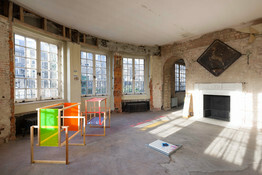 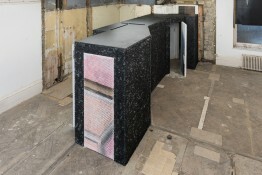 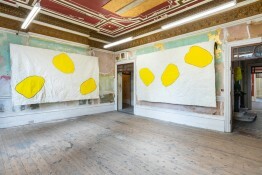 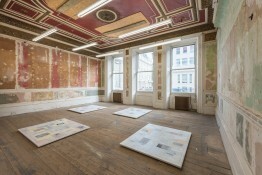 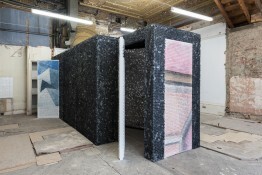 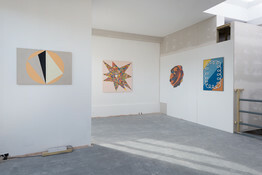 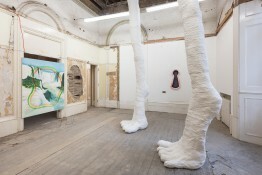 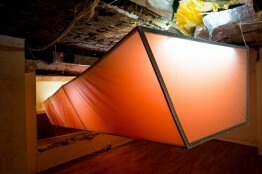 There is an intimate connection between the work exhibited and the space itself. 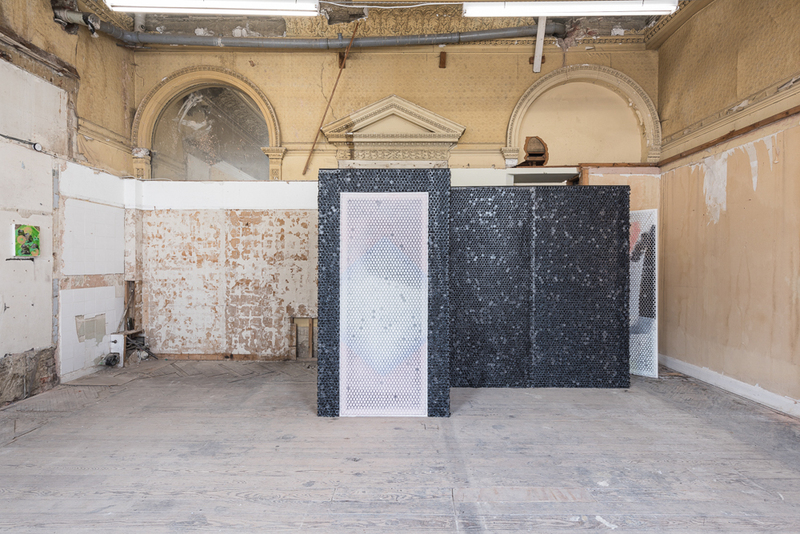 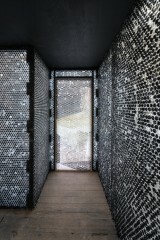 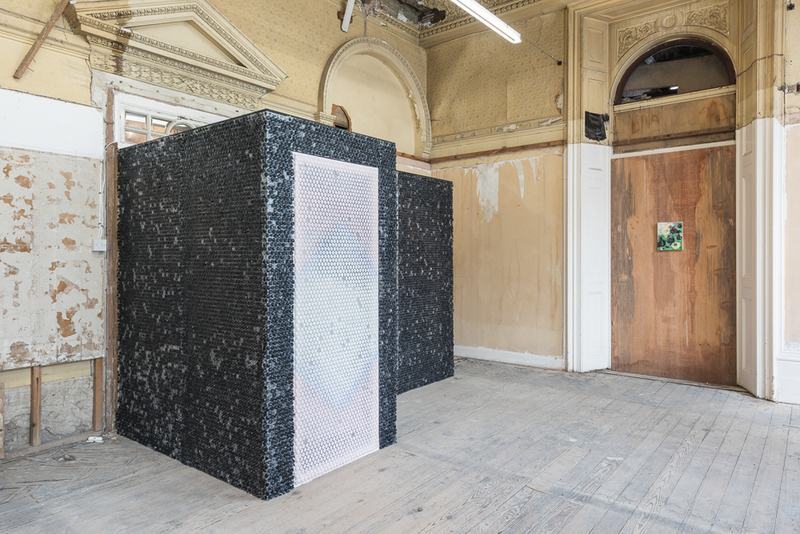 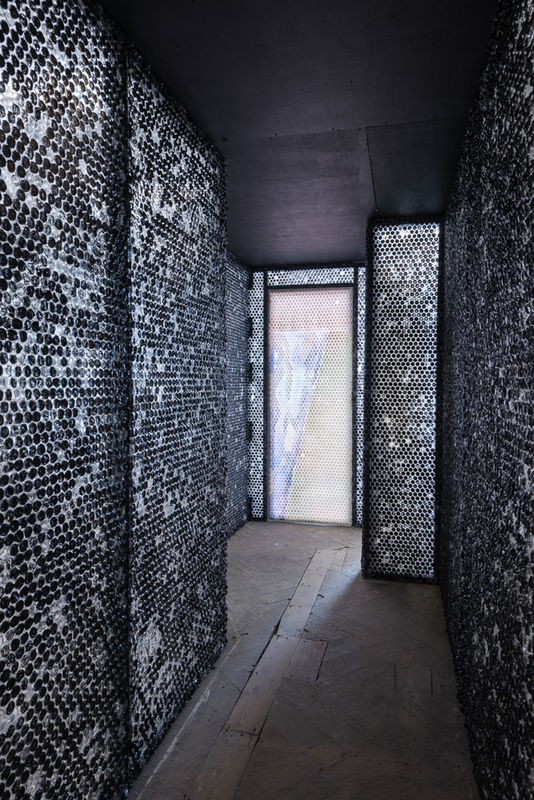 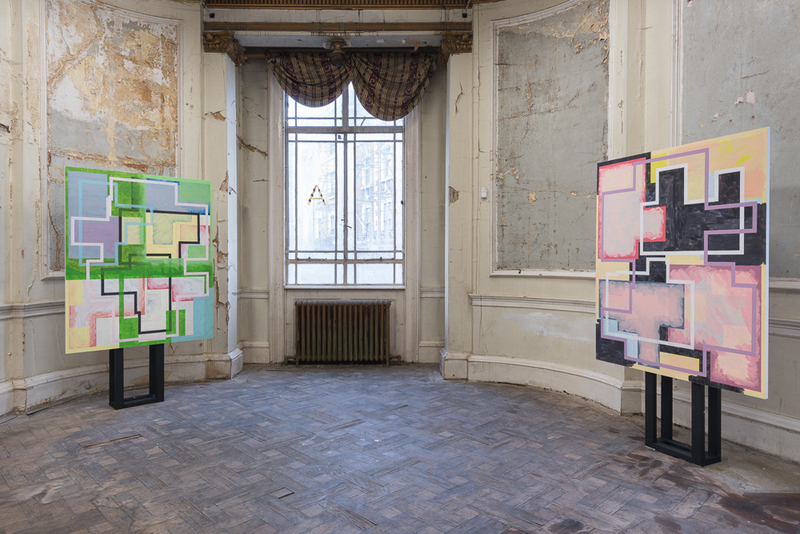 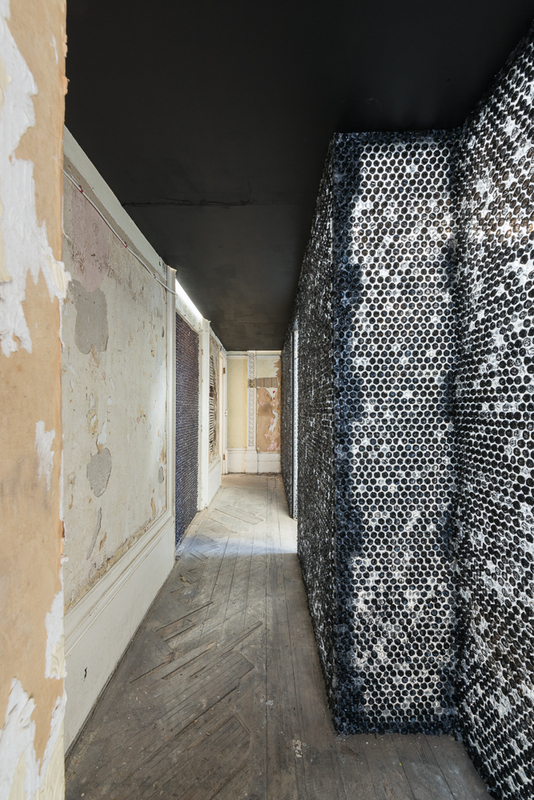 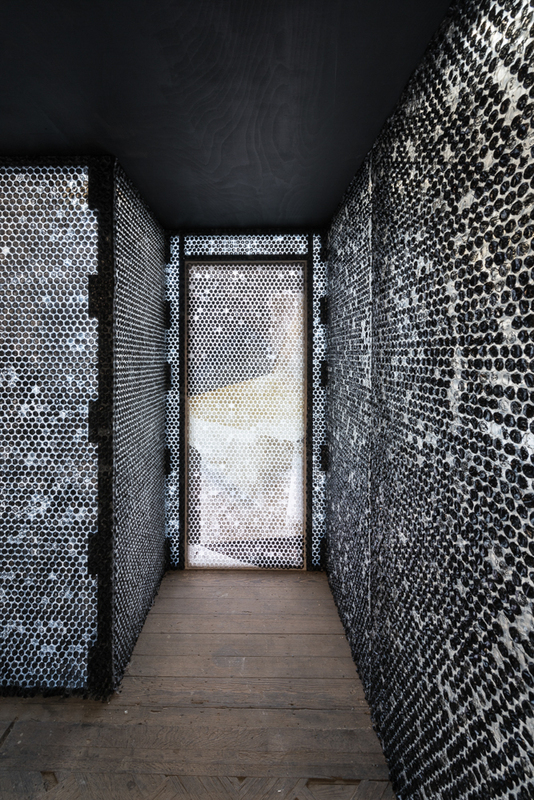 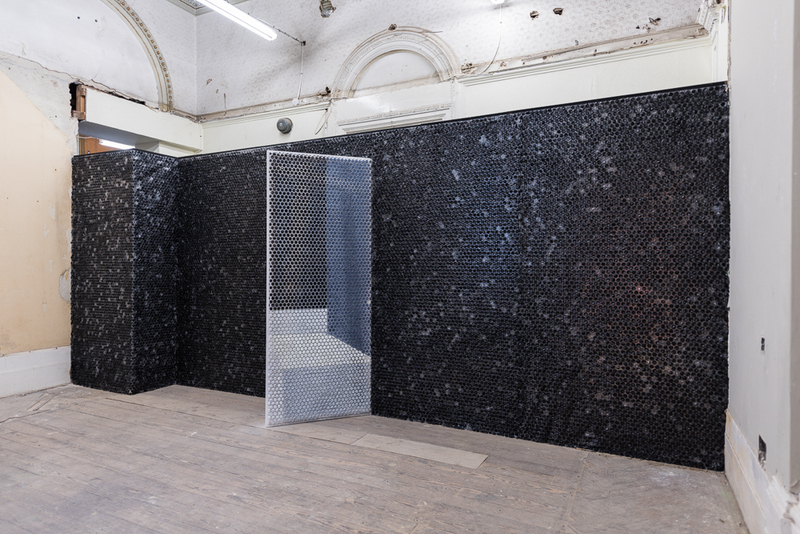 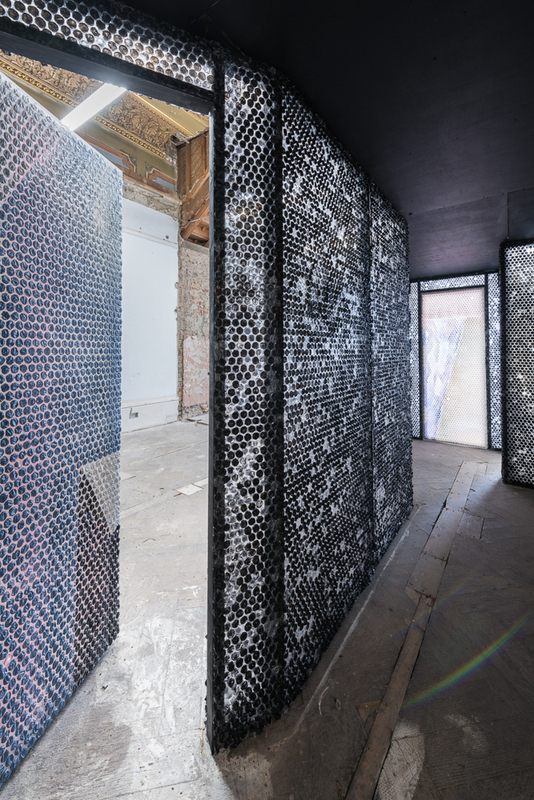 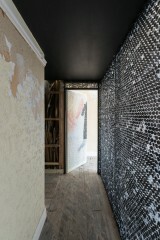 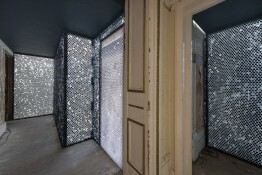 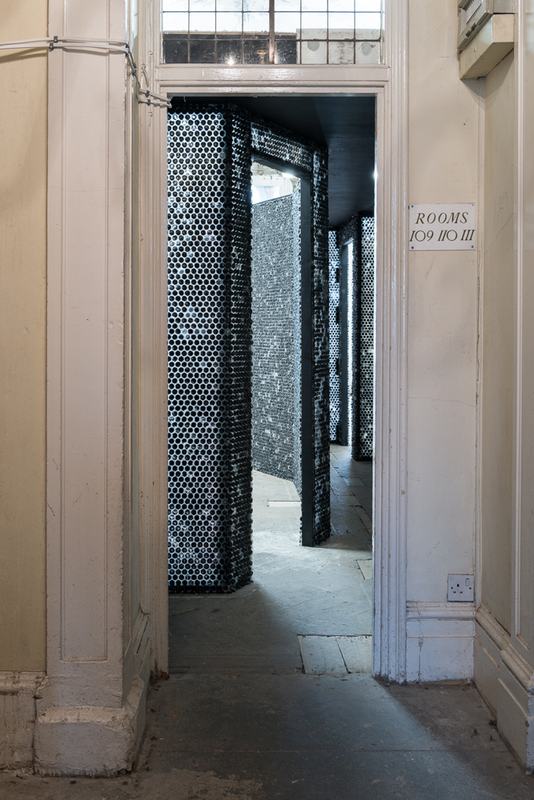 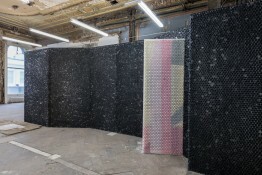 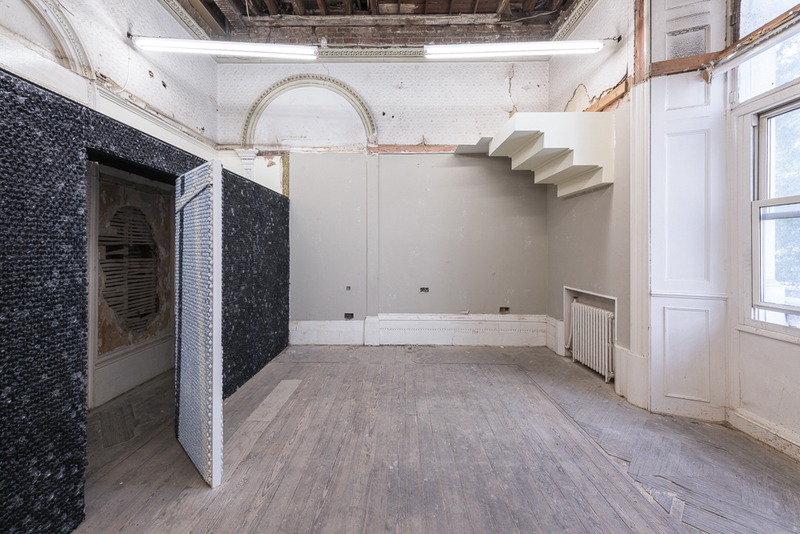 A large site-specific installation, Corridor (Averard Hotel) meanders around the first floor with bubble wrap walls painted black and drop ceilings; it is punctuated by ersatz ‘doors’ from Iveson’s earlier Apartment Slicker paintings, mediating access into some of the galleries. Corridor (Averard Hotel) maps the site of previously existing corridors from when the space was still a hotel. 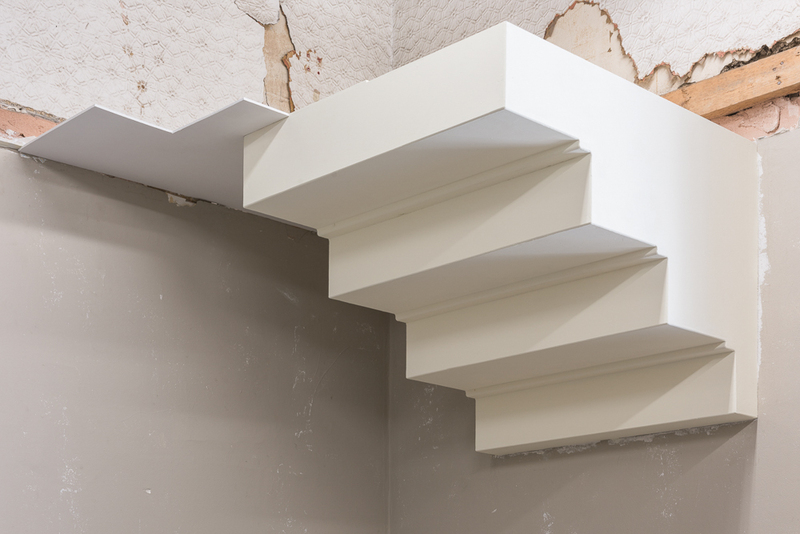 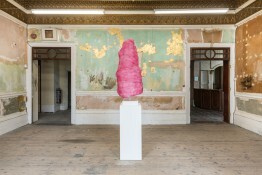 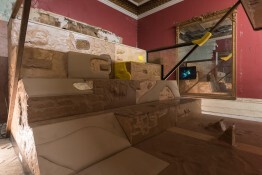 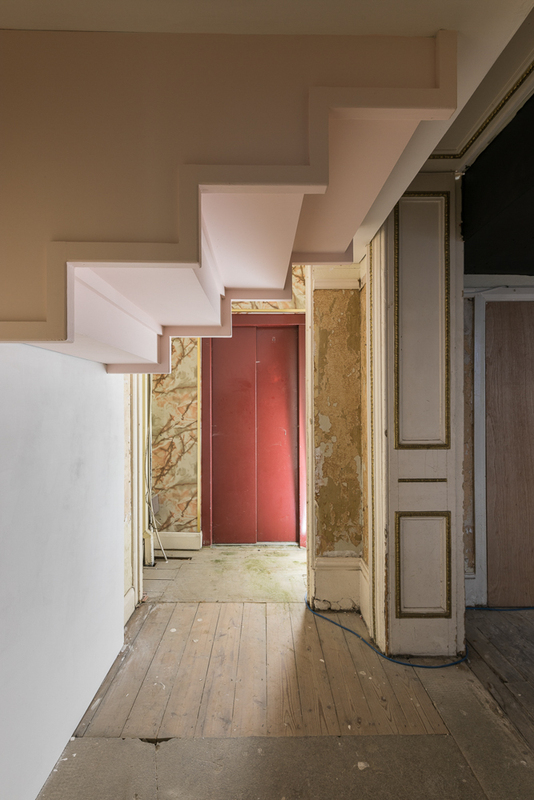 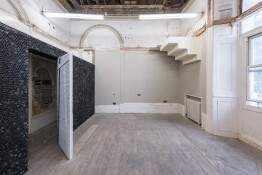 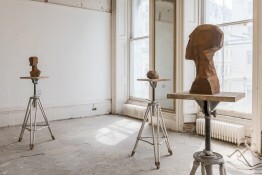 Similarly, two new sculptures quote the staircase that protrudes through the ceiling in the first-floor ballroom, previously hidden above a false ceiling and serving to connect the two historical properties. 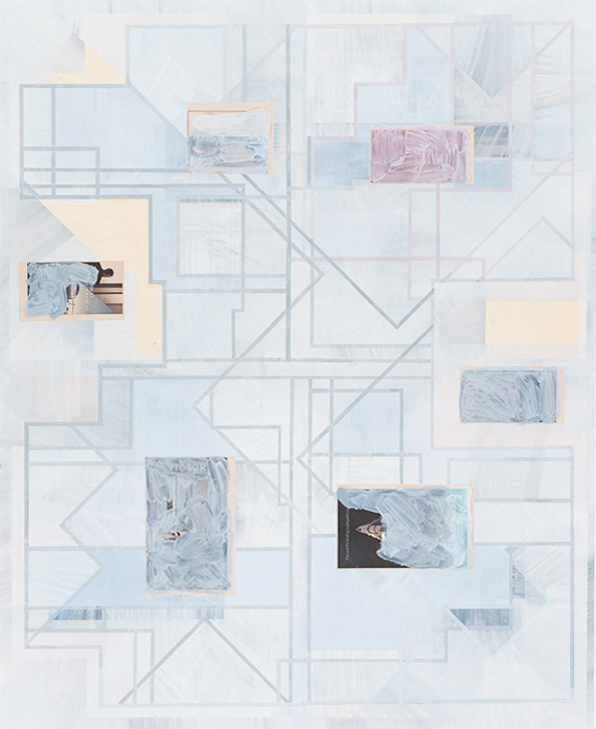 Three new series of paintings project Iveson’s previous interests in printmaking, newspapers, image transfer, collage and layering, onto larger scales and with more complex compositions. 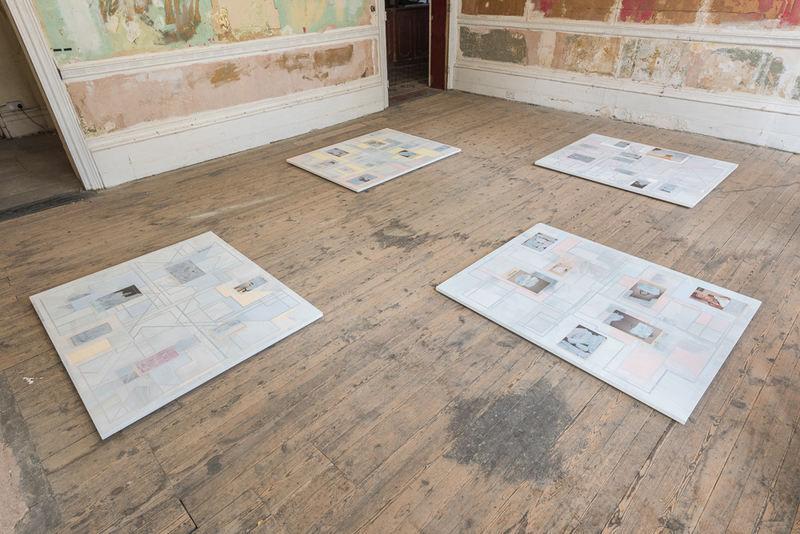 The Ideal Home paintings are installed horizontally on the floor of the first gallery, while the Blueprint paintings are hung like signposts in the old hotel restaurant. The Meadow series, small panel paintings with multiple layers of carefully registered toilet paper, found images, paint and newsprint, are upstairs. 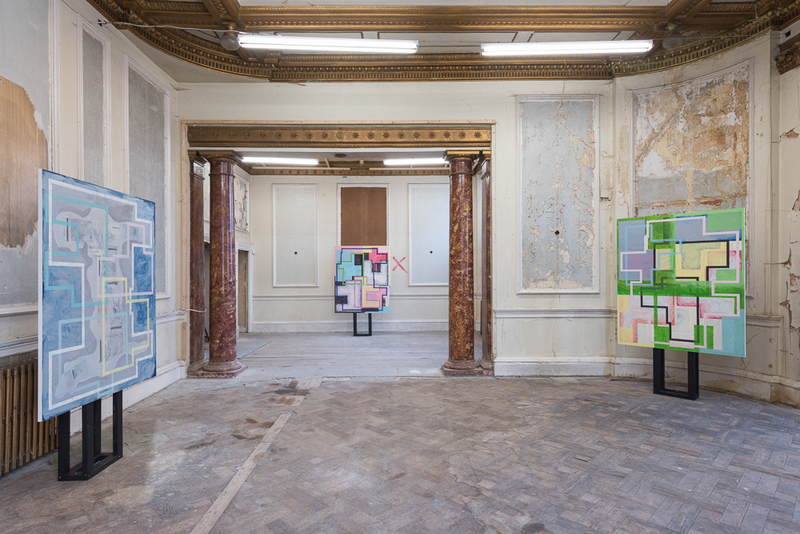 Iveson begins his geometric compositions by taking pages from the Financial Times and cutting out the adverts, leaving irregular hard-edged forms. The adverts (the real source of a paper’s value) are collected and collaged into the Ideal Home and Meadow paintings. 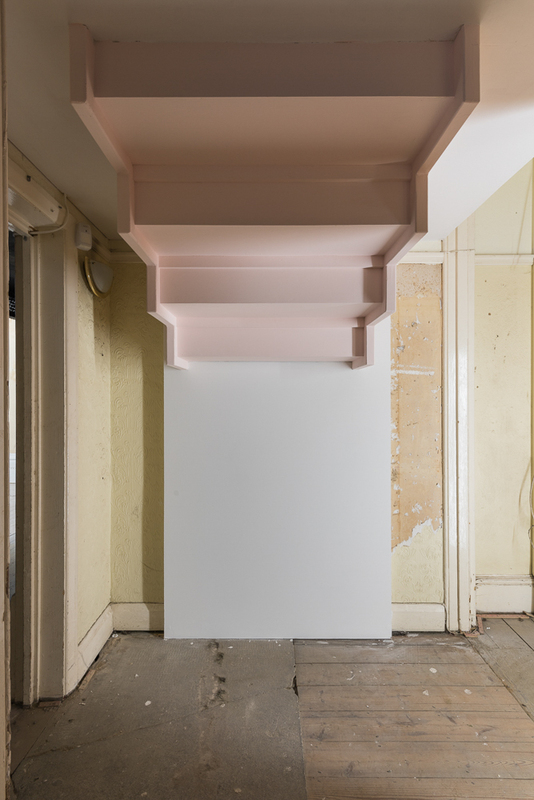 Yet Iveson also recycles the advert-free offcuts, leeching their pigment to create the pastel colours for Ideal Home, and using them as stencils for the Blueprint series. 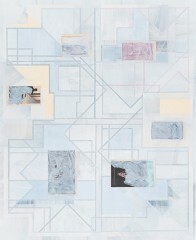 These forms are arranged in the paintings to create imaginary, even impossible, floor plans, or cityscapes. 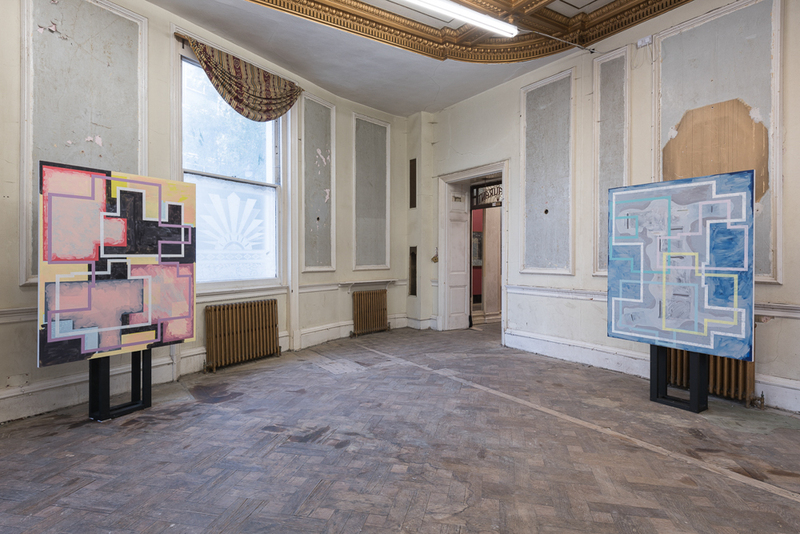 Exhibiting the Ideal Home paintings on the gallery floor further allows the viewer to experience them in the manner of their creation. 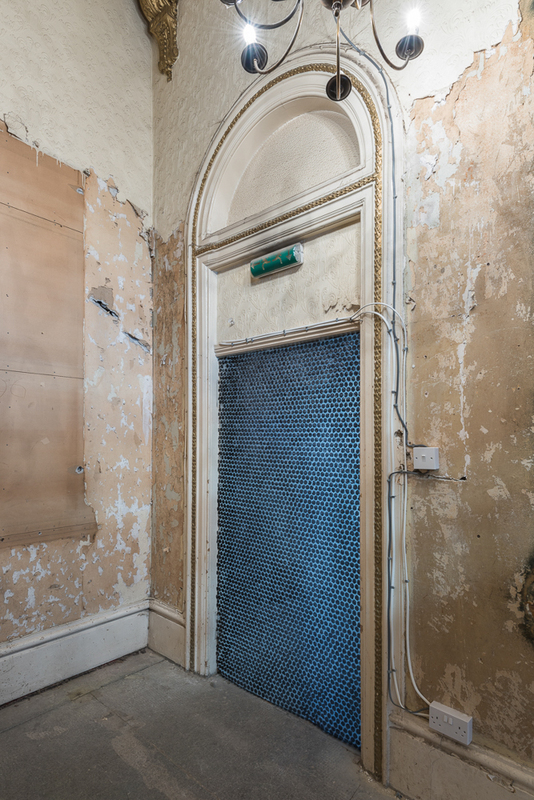 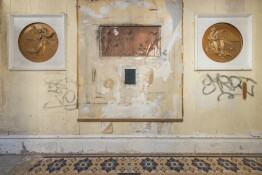 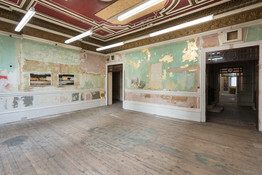 The hotel itself operates as a ready-made, with elements of its past, such as the old corridors, reclaimed from the demolition blueprints; while other features, old newsprint revealed under peeling layers of paint or the aforementioned staircase – function as serendipitous metaphors of the work. 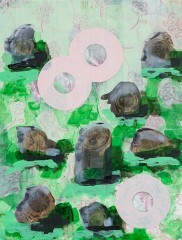 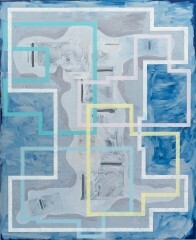 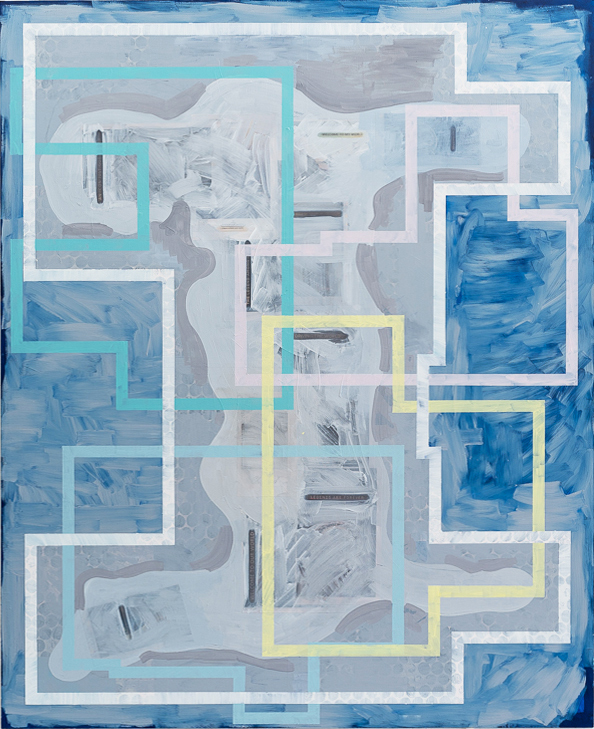 Time is a key concern in Iveson’s work. Time as the principal metaphor of neoliberalism – ‘to make time’, ‘bags of time’, ‘time trap’, ‘steal time’, ‘find the time’ – which advertising copy faithfully exploits. 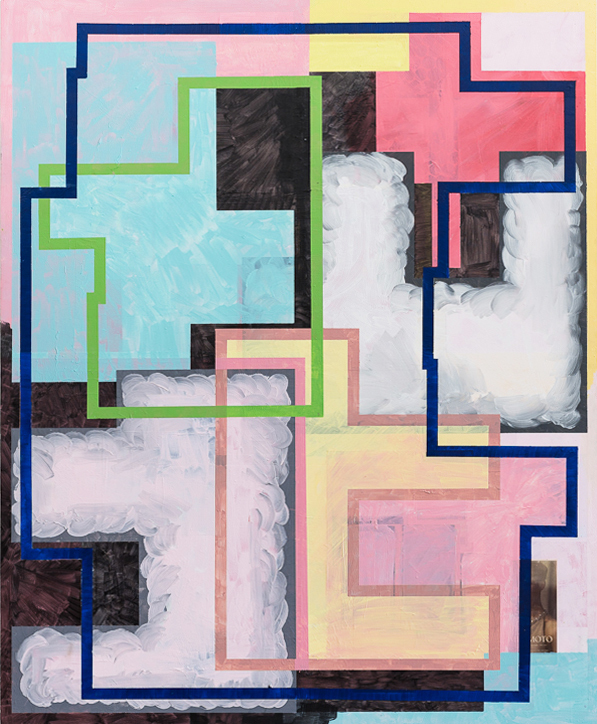 Iveson ironizes the perennial conflict between the time required to accumulate capital, only to exchange it later for time-saving, time-extending, time-enriching objects and experiences. 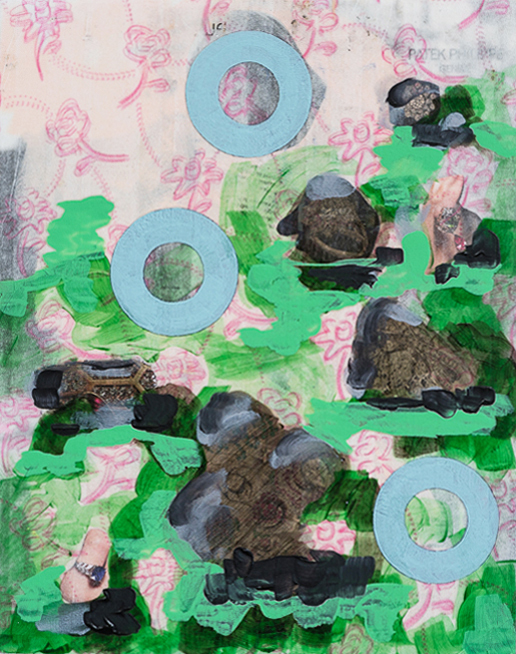 The remedy for this anxiety is a proliferation of fantasy images, secular icons of transcendence, which span the distance between an ideal world and the derelict truth. A close look at the Meadow paintings can reveal to us, beneath layers of paper and pigment, a glimpse of the reassuring maxim ‘You never actually own a Patek Philippe, you merely look after it for the next generation’. 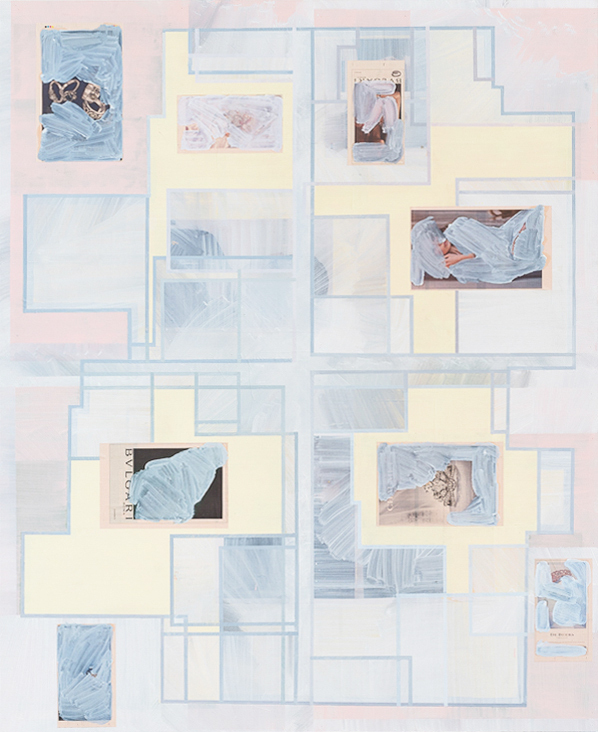 Thus, Iveson conflates the abstract geometry of newspapers (which literally contain the timeless images) with the physical geometries of real estate, extending Debord’s critique of the society of the spectacle in a spatial direction.